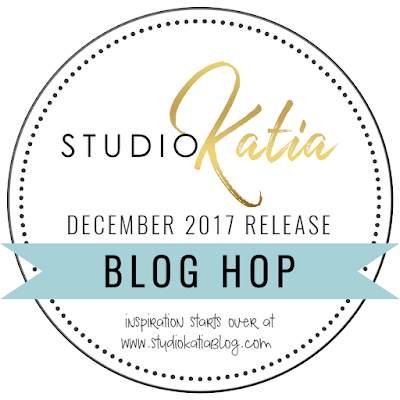 I am so excited to be part of Studio Katia New Release Blog Hop! It is such a fun and beautiful release at the same time. 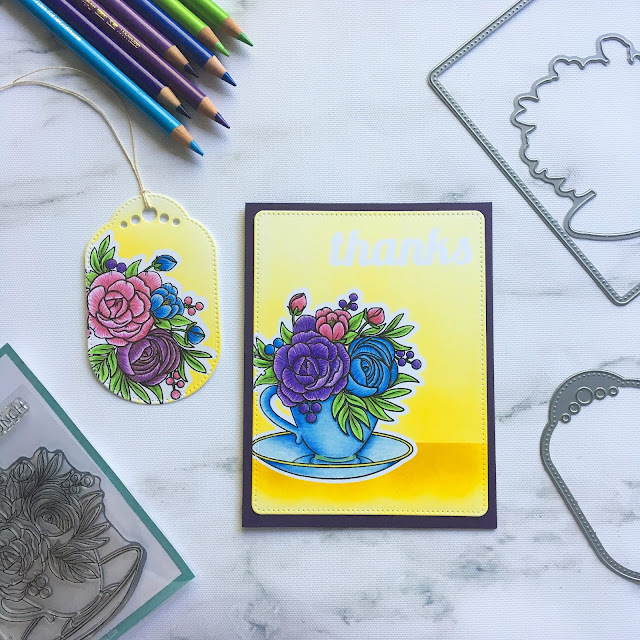 I made lots of different cards with it. You can see all of them in the Full Release Reveal video. I want to share with you few of my favourites. 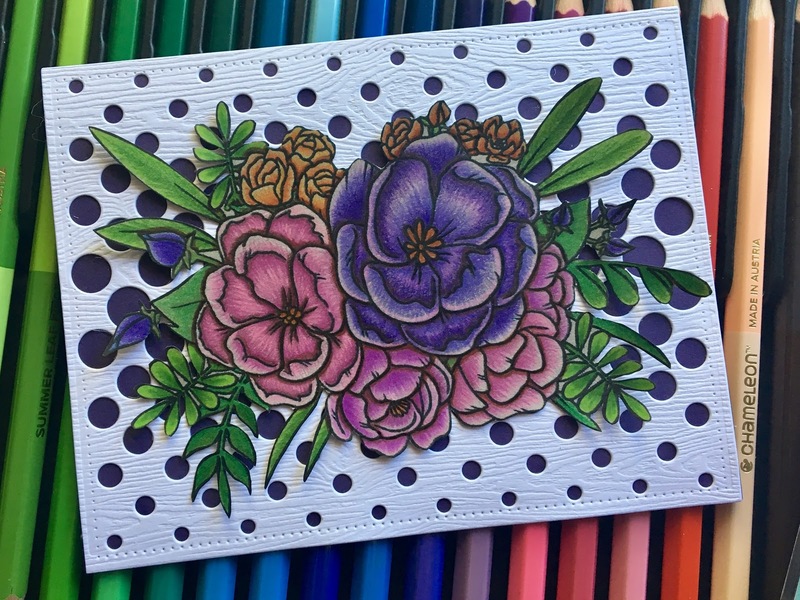 Colouring these hibiscus flowers is so much fun! 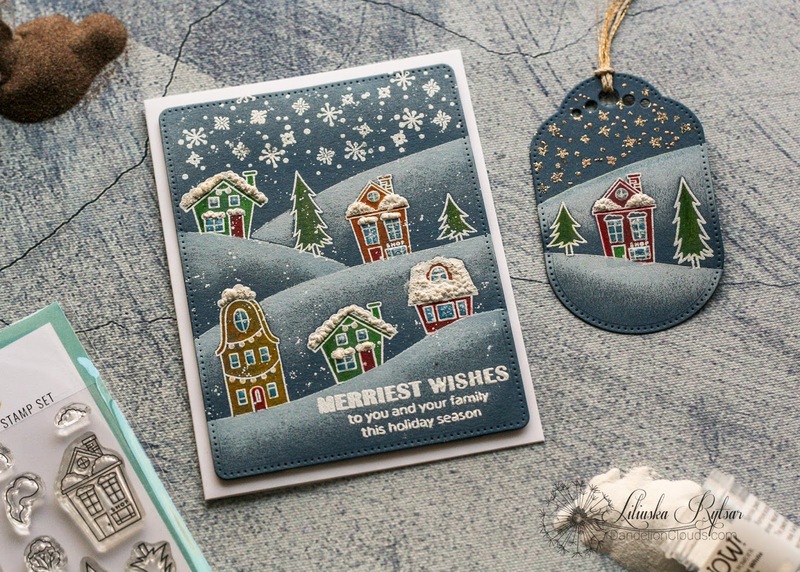 I used one Square Brick stencils and oxide inks to create a background for this card. 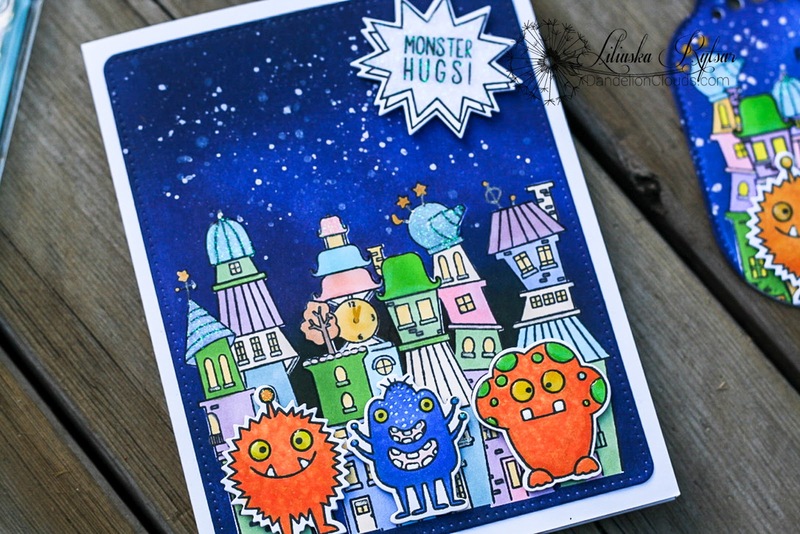 Images are coloured with Altenew artist markers and I added a heat embossed sentiment on a vellum. And I just had to share with you this card. 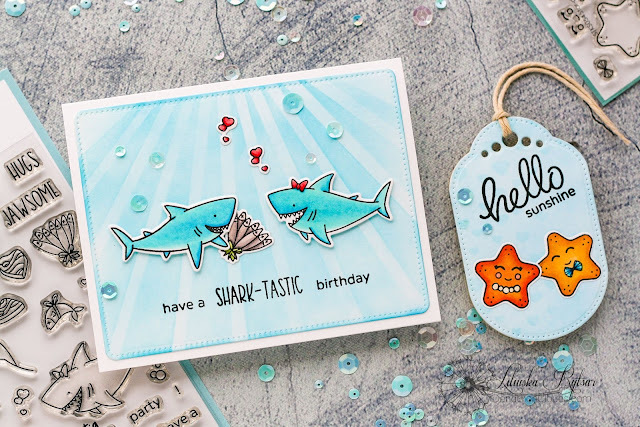 Aren't these sharks adorable? 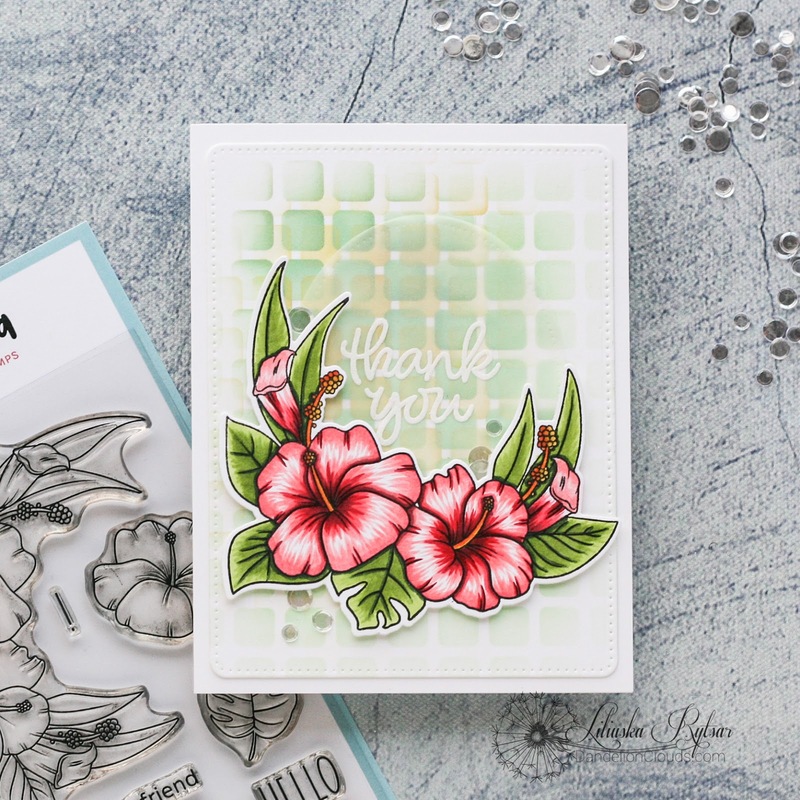 We still have snow here in Ottawa, but I am already in a summer mood thanks to the stamps from this release. And how cute are the starfish on the tag? 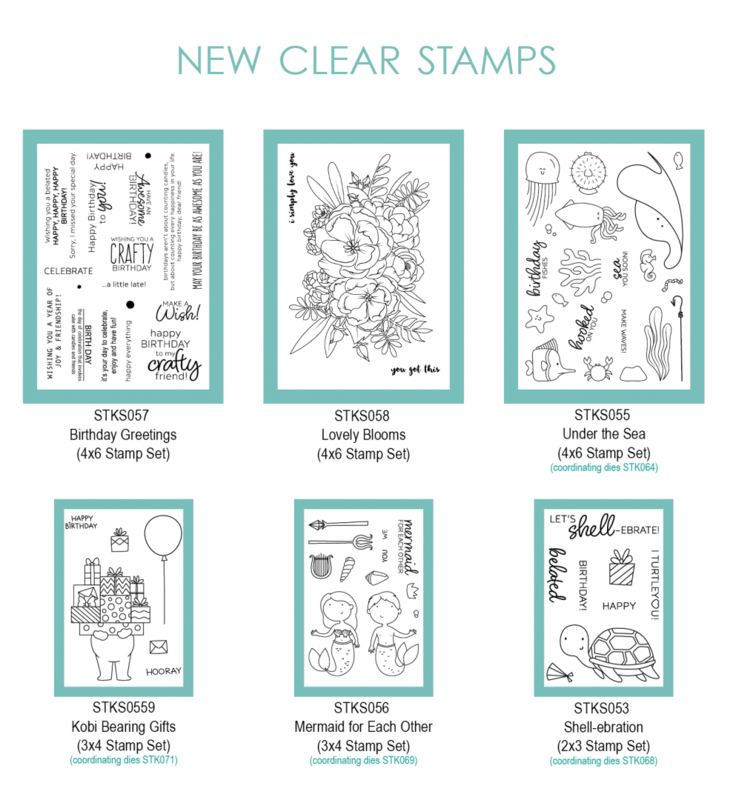 I like that this stamp set let you personalize them to your own taste. 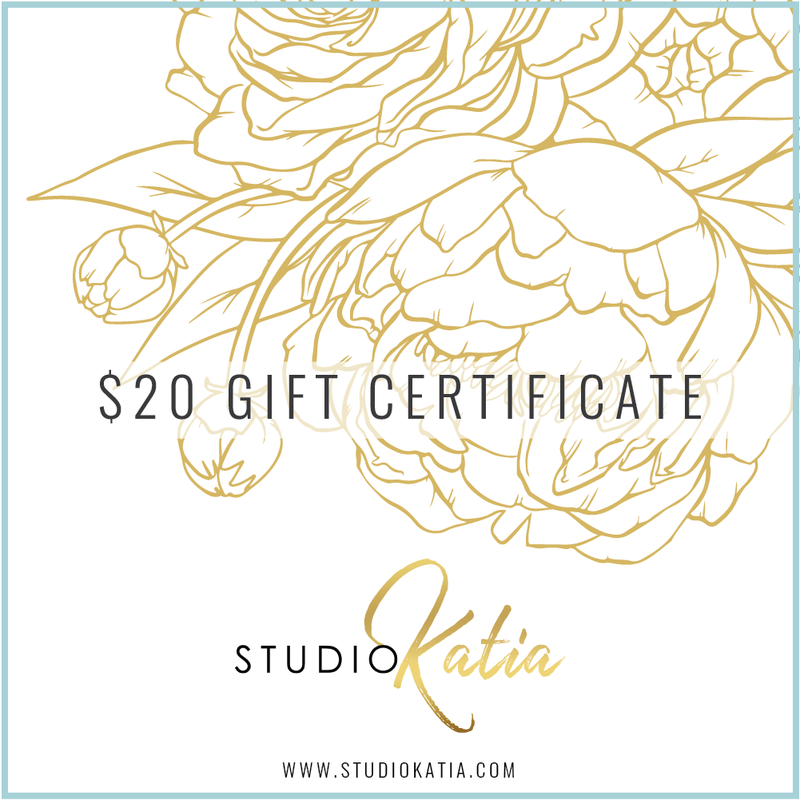 On my Instagram you can win a $25 Gift Certificate to Studio Katia Store. 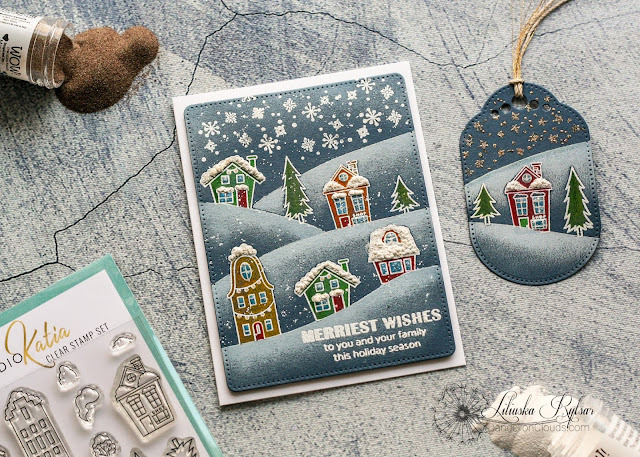 Make sure to visit me here and leave a comment for your chance to win. 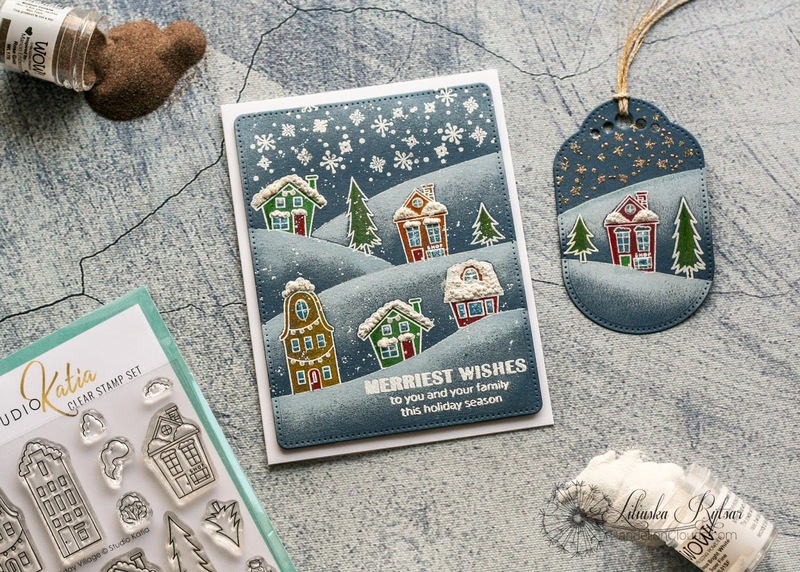 You can also win a $50 Gift Certificate. To celebrate this New Release Studio Katia is giving away TWO $50 CAD Gift Certificates on our Blog! 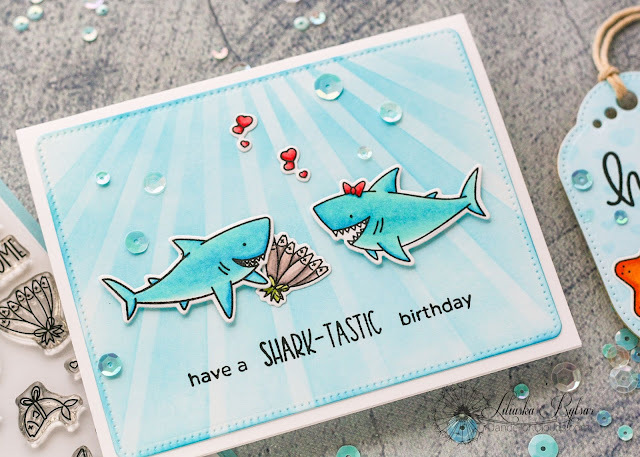 Make sure to stop by SK Blog and leave a comment there by Friday, March 22nd, 2019 11:59 PM EST. 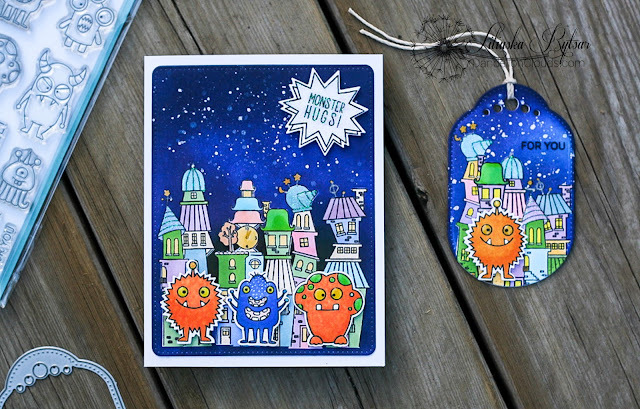 I am sharing these three cards on Studio Katia Blog today. I decided to feature beautiful Floral Cross stamp Katia released last year. 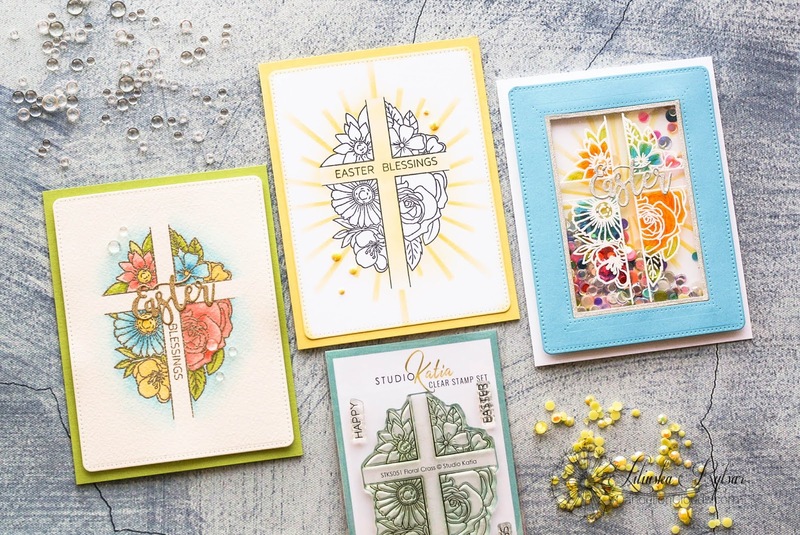 Making Easter cards with it is so easy and fun! Hello everyone! Welcome to National Tea Day Blog Hop! 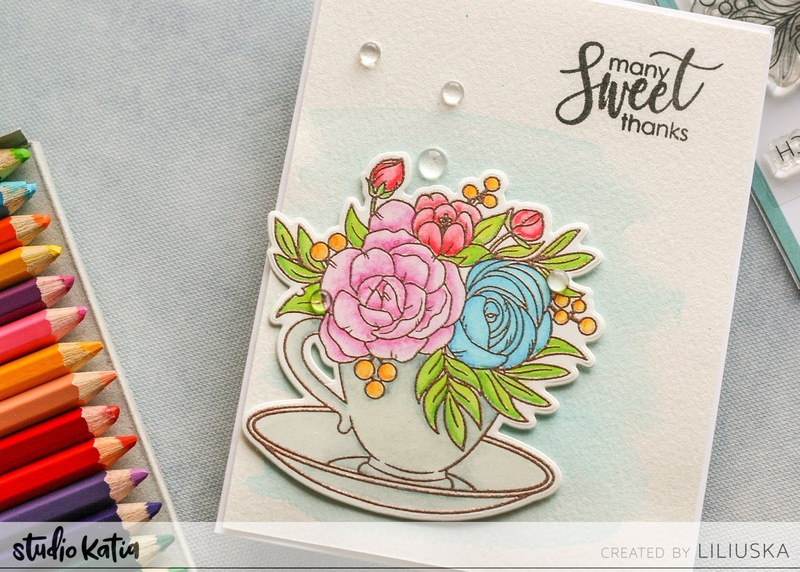 For this Blog Hop I made a watercolour card using beautiful A Cup of Thanks Stamp Set. 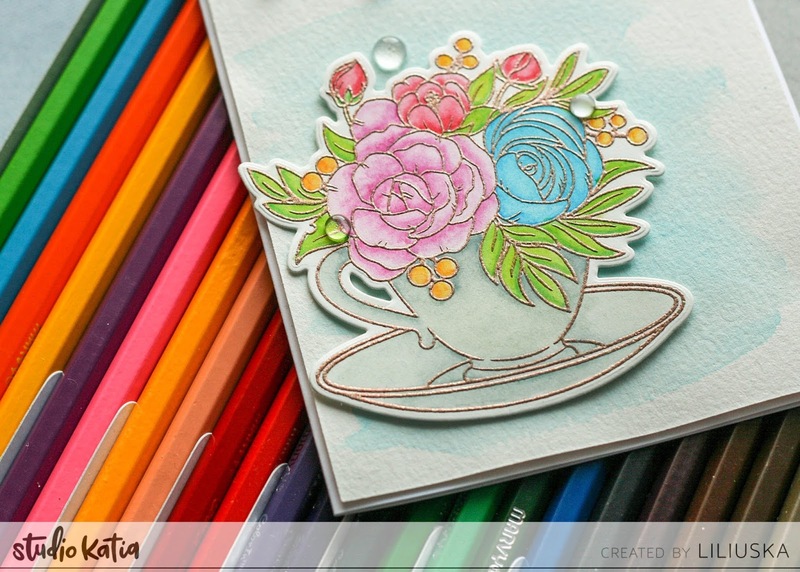 I coloured flowers in a tea cup using Marvy Uchida watercolour pencils. 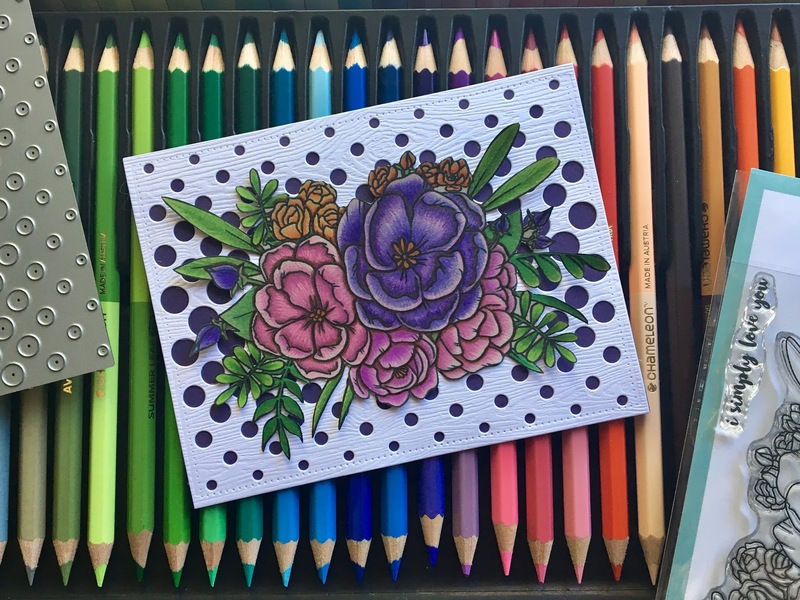 I really like the soft colours I achieved with them. 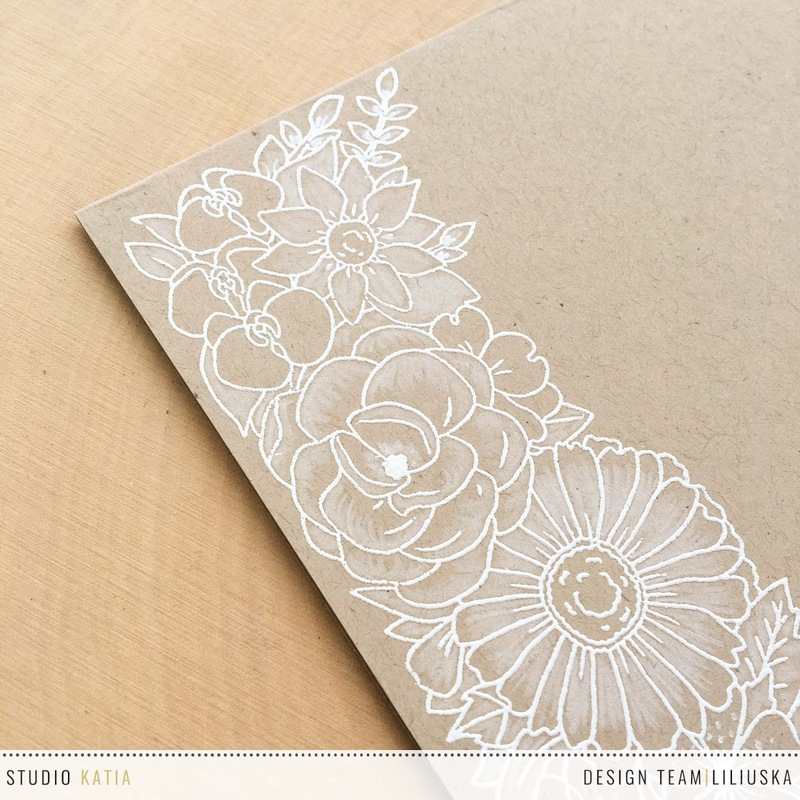 I die cut the image, did a simple wash on another watercolour paper and foam mounted the image onto a panel. Lastly I stamped cute sentiment from Studio Katia Sweet Latte set in dark grey ink. 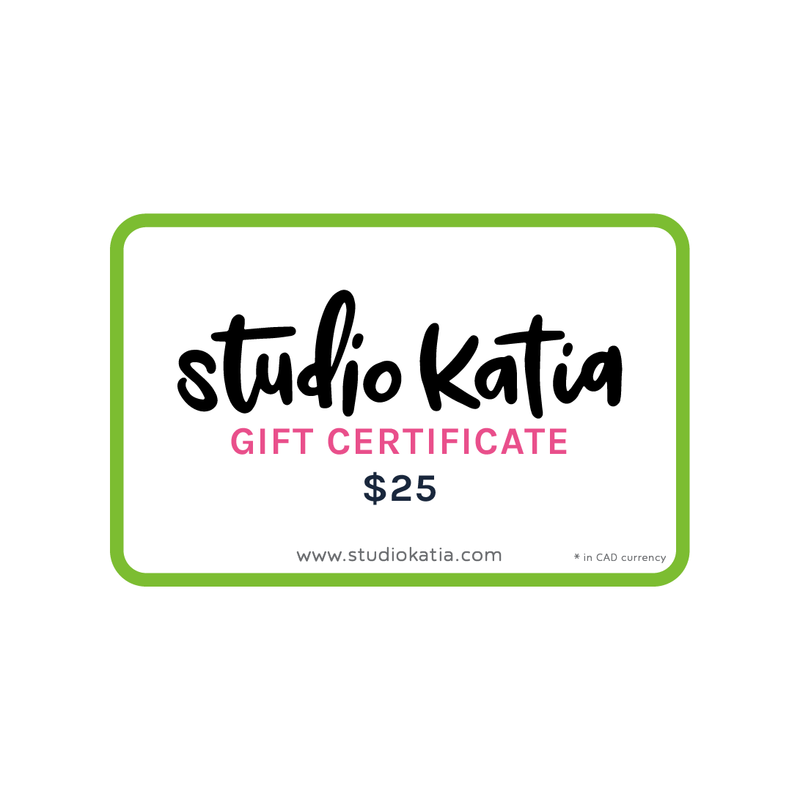 Don't forget to check every stop on the way for your chance to win $50 Gift Certificate to Studio Katia Store! Welcome to WOW! Embossing Powder and Studio Katia Collaboration Blog Hop! 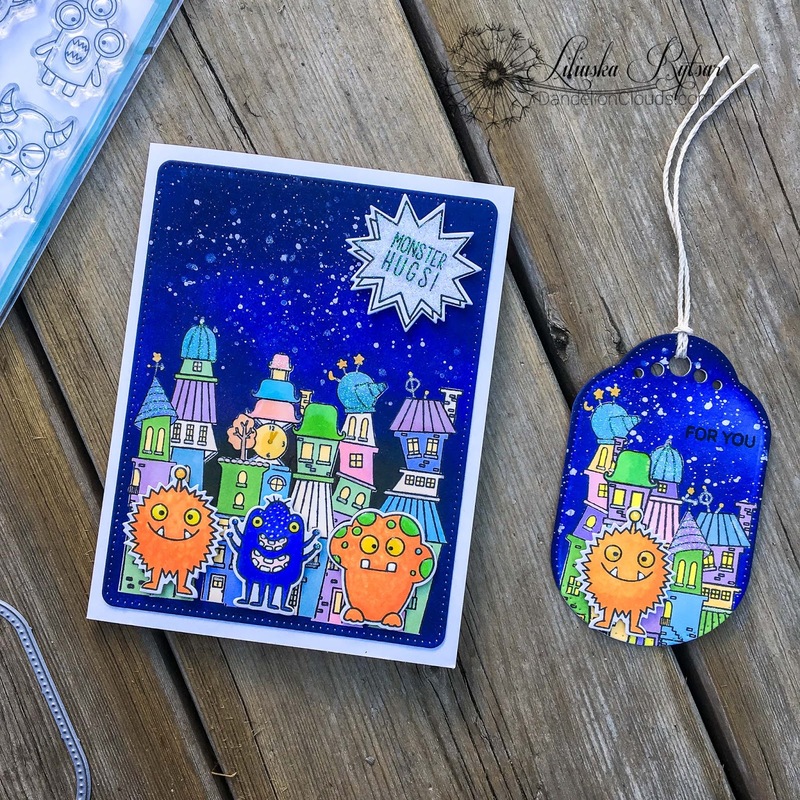 For the Blog Hop I made a Card and a Tag set. 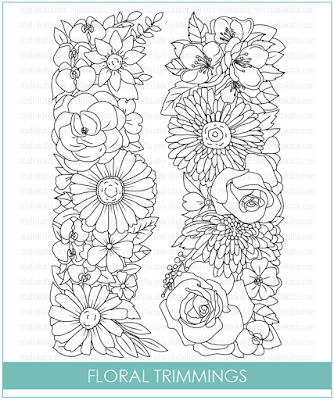 I like making these sets lately. I had lots of fun with Studio Katia stamps and WOW! embossing powders. I decided to make a little winter scene. 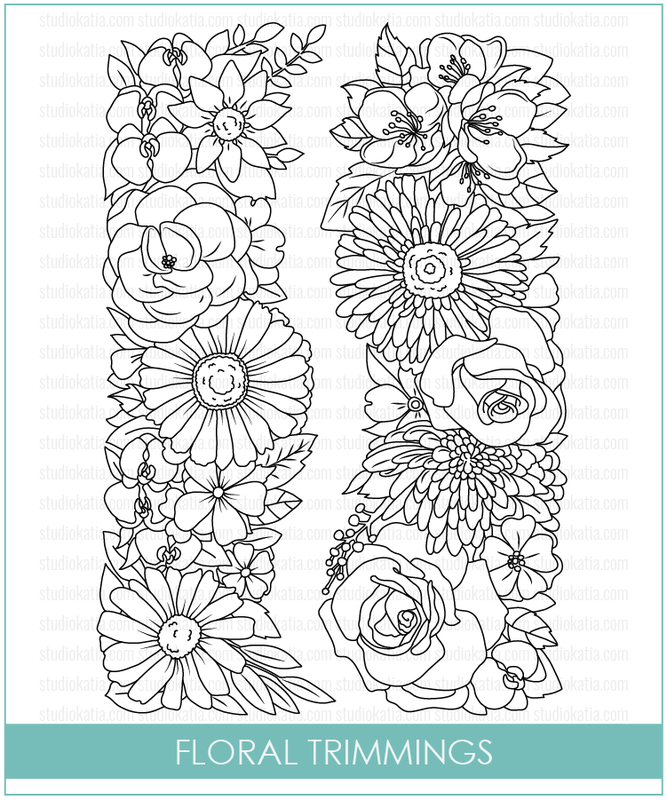 I used masks here and a diy stencil to make hills. 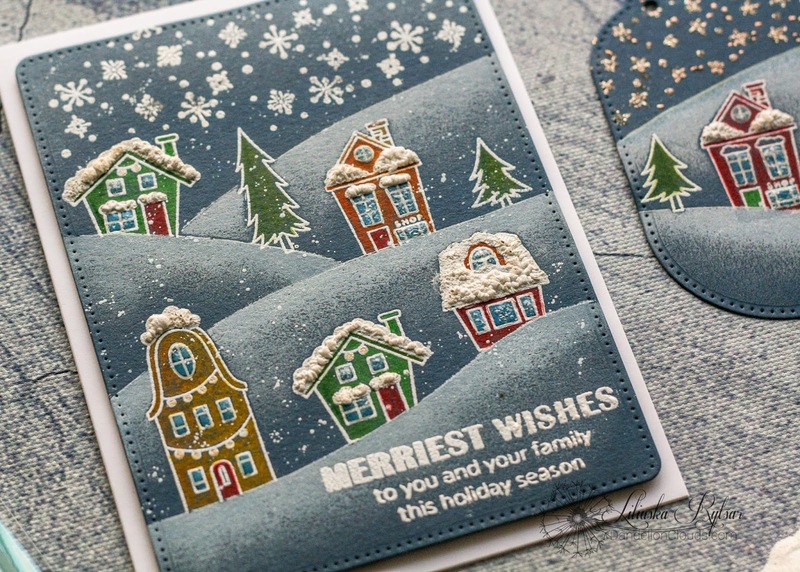 These are very simple, as I wanted the card fit in an envelope and be easy to ship. 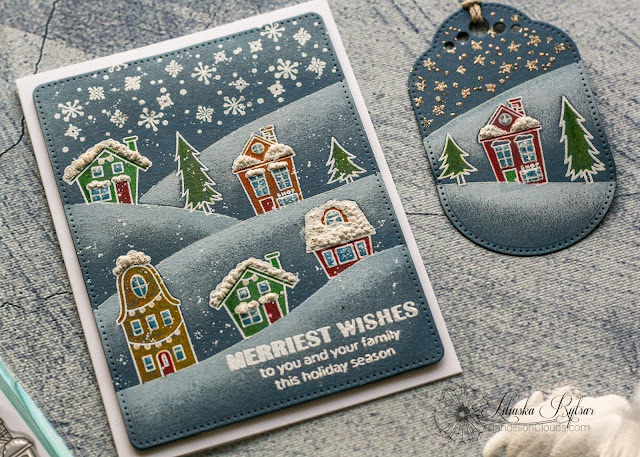 Since I did a lot of heat embossing, I decided not to do anything time consuming for the houses and did a very simple pencil colouring. I also put some cleat glaze onto windows and heat set it, which made the windows look, as if they have some frost patterns on them. 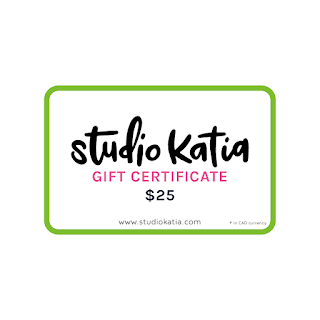 You can win TWO $25 CAD Gift Certificatesto Studio Katia Store and 6 WOW! 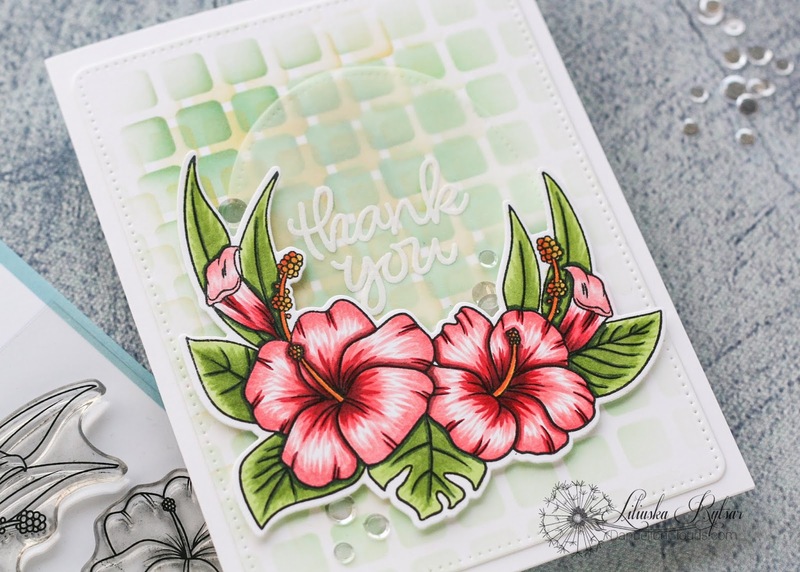 Embossing Powder powders of your choice along with a WOW carry caseto store you powders safely in. You should have arrived from Zsoka Marko's Blog and your next stop is WOW! 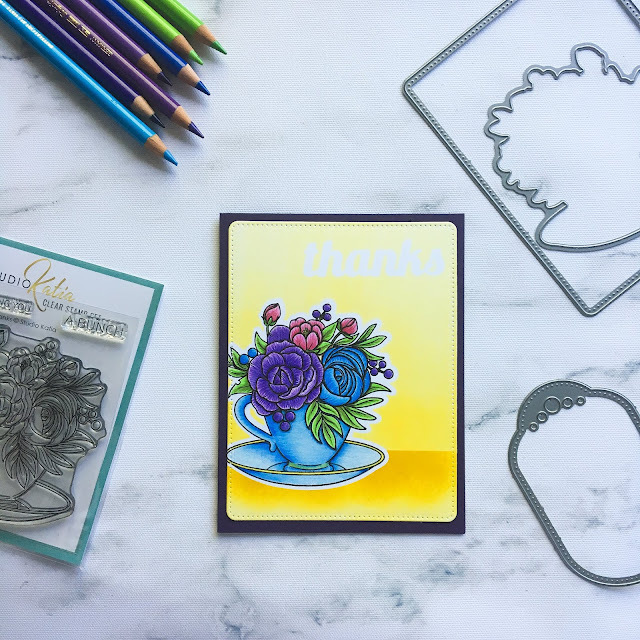 Embossing Powder. Here's full Blog Hop List in case you get lost. 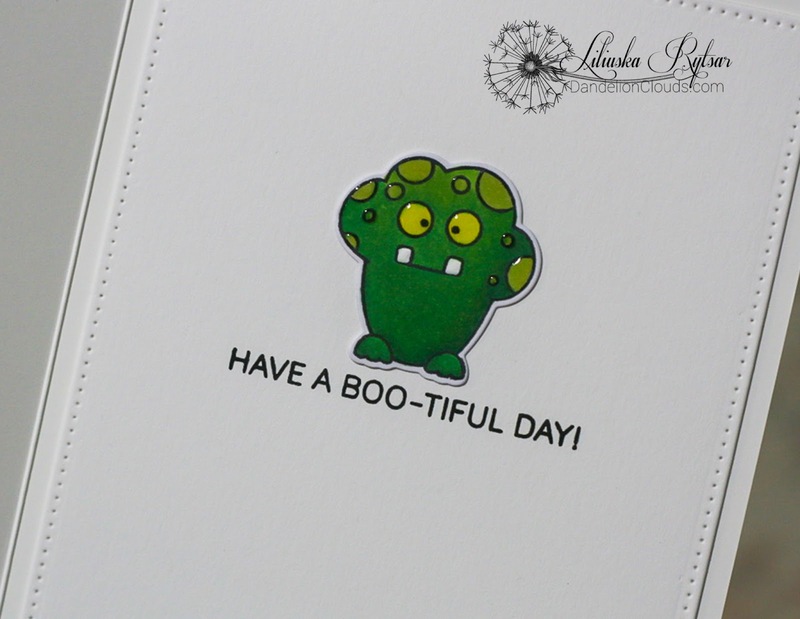 I am so excited about today! 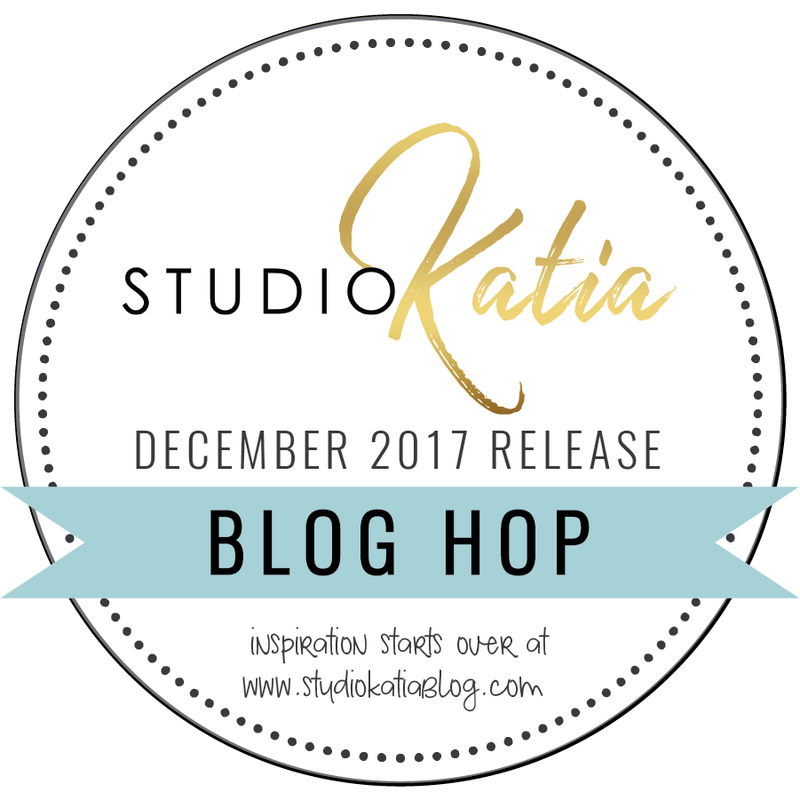 It's a day of a new release Blog Hop at Studio Katia! 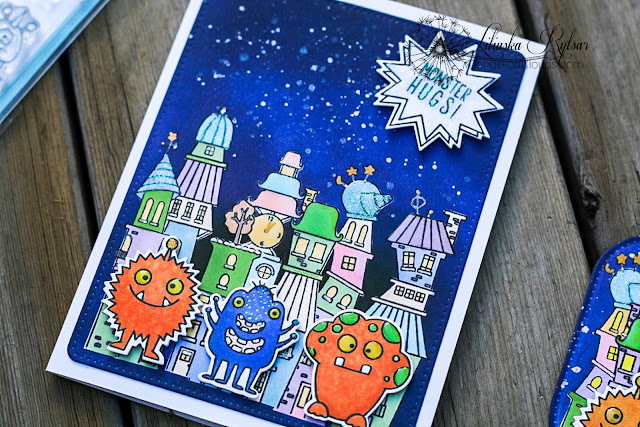 What a great reason to celebrate with a hop! The release is beautiful. 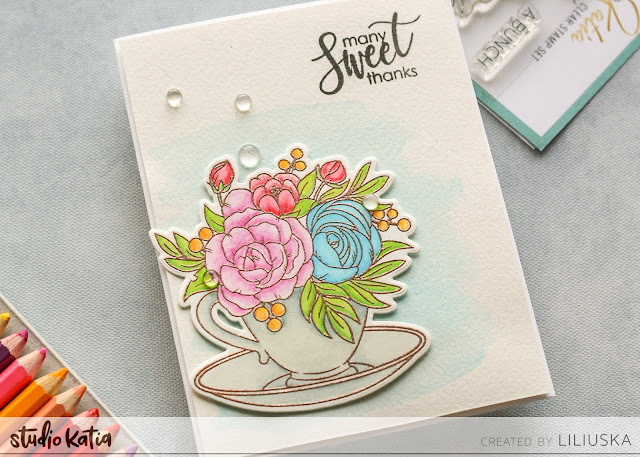 If you love flowers or cute images or beautiful dies - this release is for you! 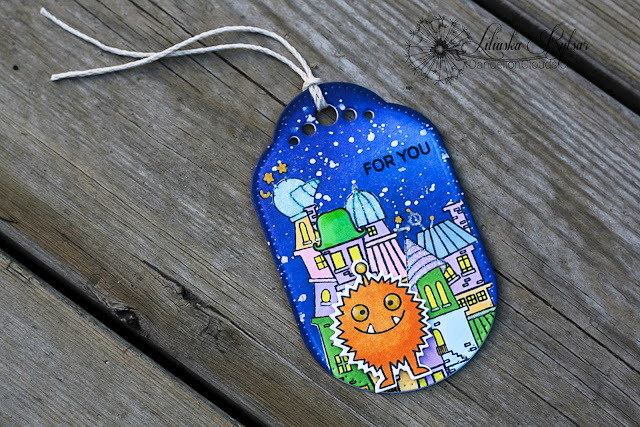 You should've come here from Olesya's Blog. Your next stop is Marina's Blog. 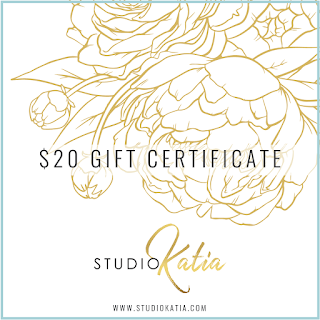 To celebrate our December Release, Studio Katia is giving away $50 gift certificate to two lucky winners! 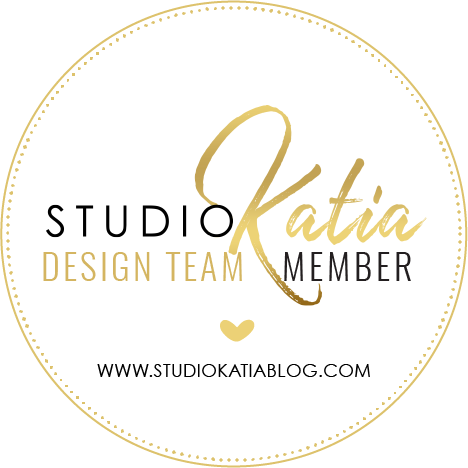 If you haven't checked Studio Katia Blog yet, make sure to head there too for all the details on prizes you can win. For this hop I made a simple one layer card. I had a baby girl recently. 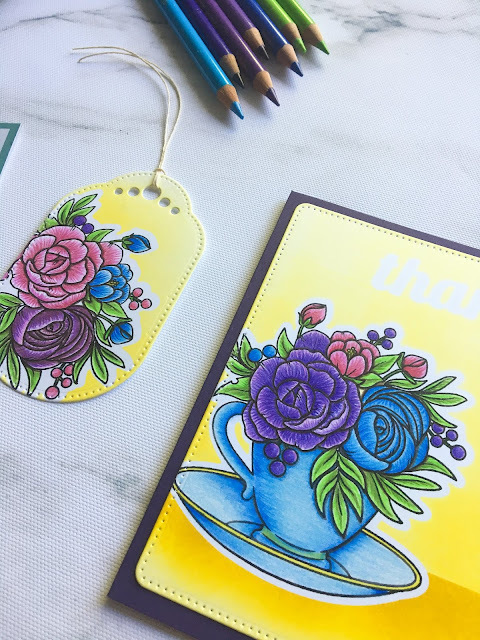 She is not even a month old yet (few more days ;)) And when you have a newborn and three other kids someone may think crafts will be out of reach for a while. Well, not for me. 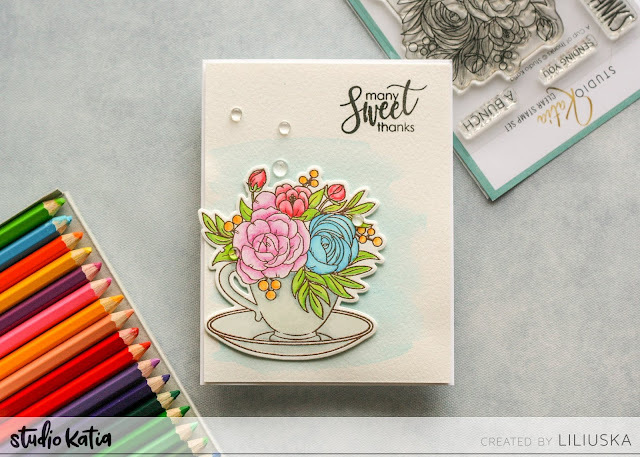 With gorgeous stamps like Studio Katia's you can make a quick and beautiful card anytime! All I used here is fabulous Floral Trimmings Stamps Set, which I heat embossed with white powder on kraft paper, white pencil and embellishments from Studio Katia. I did need a few minutes to stamp and heat emboss the image. 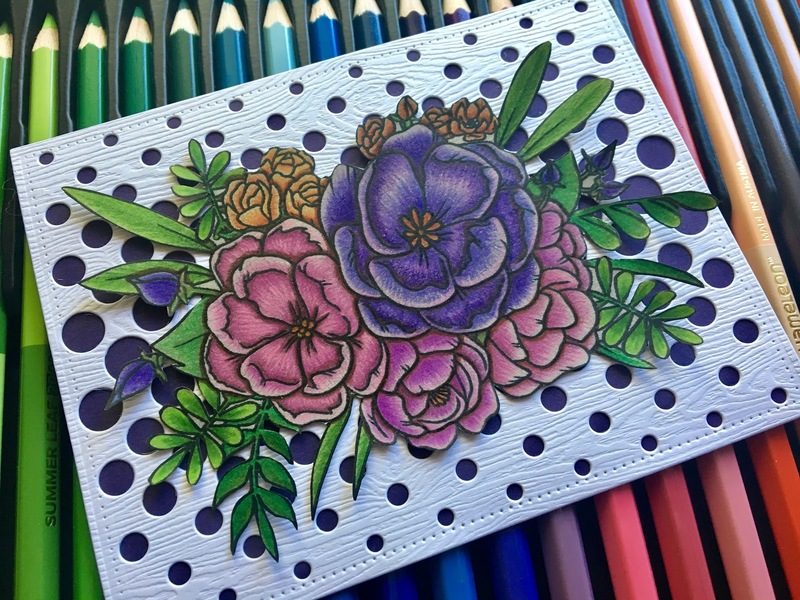 Colouring is simple and easy enough to do it with one hand while holding a baby. 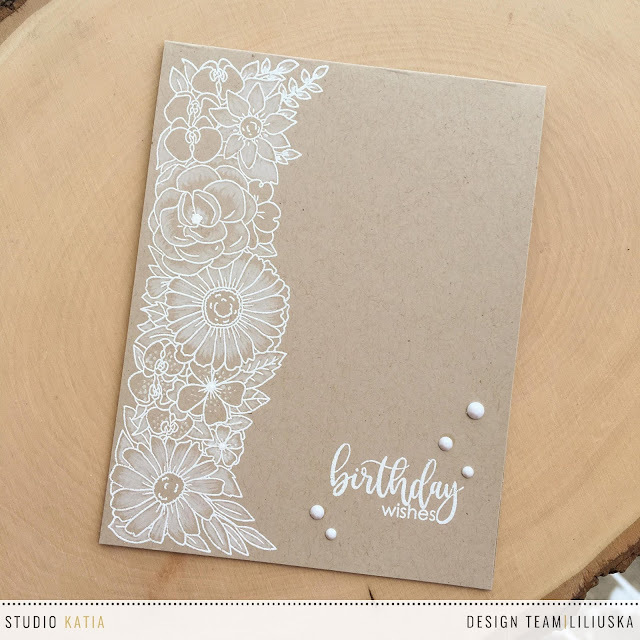 And white on kraft always looks pretty and elegant, doesn't it? Even a little bit of crafty time gives so much! You can win a $20 GC to Studio Katia Store on my blog!! I will announce a winner on December 27th.